"Wir vertrauen seit über 20 Jahren auf die XR Produktlinie. Die Software hat bedeutend zum Aufbau unseres Institutes beigetragen." "After all these years working with your system in Mitralis (Kerkrade, Netherlands) I wanted to let you and your colleagues know how much I have appreciated your quality efforts right from the start until now! Thank you for your assistance at the formation of our Mitralis project on a solid basis. 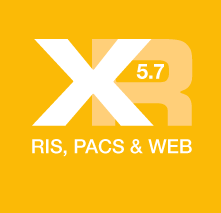 It was and still is a pleasure to work with your XR-software."